No matter what requirement you may have, at Lehman Pipe we have the product and solution, from Galvanized Steel Pipe, Polyethylene, Polypropylene and CSST piping. All of our products are tested, certified and approved by UL, FM and AGA. Unlike traditional methods, Wardflex offers contractors and owners greater advantages when it comes to ease of installation .Wardflex is lightweight, easy to transport and install, easy to store and does not require any type of special tools to install. Wardflex is tested and approved by many agencies like AGA among others. (see Catalogue of installation and recommendations). Wardflex has unique characteristics that differentiate it from other producers. Such as 1000' foot long coils, double seals and its extreme flexibility. 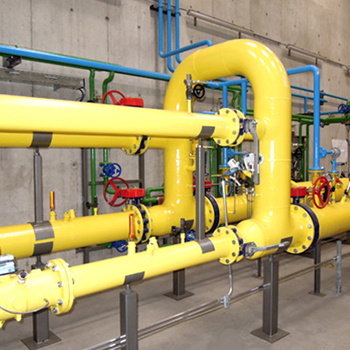 No matter what your needs are we have the pipe, fittings and valves to supply your project requirements.